Designers, artists and manufacturers used these “frame” spaces to stage their designs and ideas. 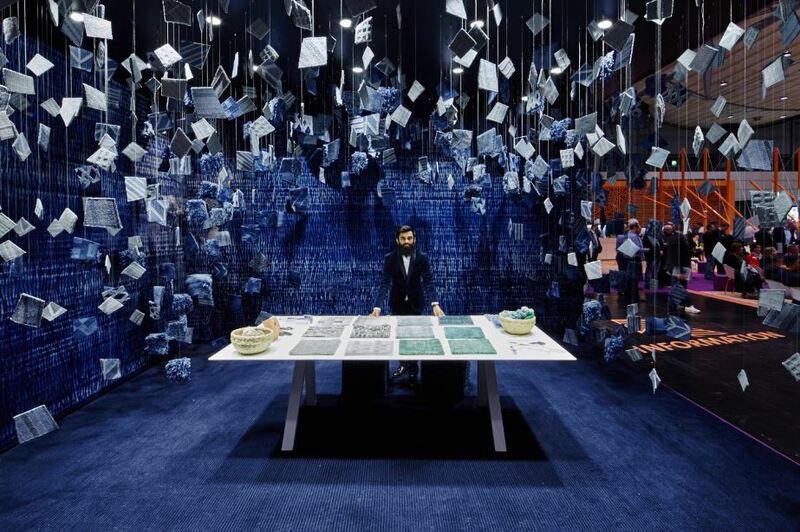 The “Flooring Spaces” zone saw an array of interesting product displays that illustrated the individualisation trend. Konstantin Landuris created a futuristic installation for Classen that was showcased in this space. The installation presented Konstantin’s vision of a living space from the future, complete with a sleeping tube, water basin and greenwall, and was clad with a marble-look LVT flooring, including on the walls. Tisca’s installation was called “Urban Jungle” and the company used a range of carpets, materials and outdoor textiles – all interspersed by individualised combinations with earthy and green tones – to transform rooms into natural living spaces. 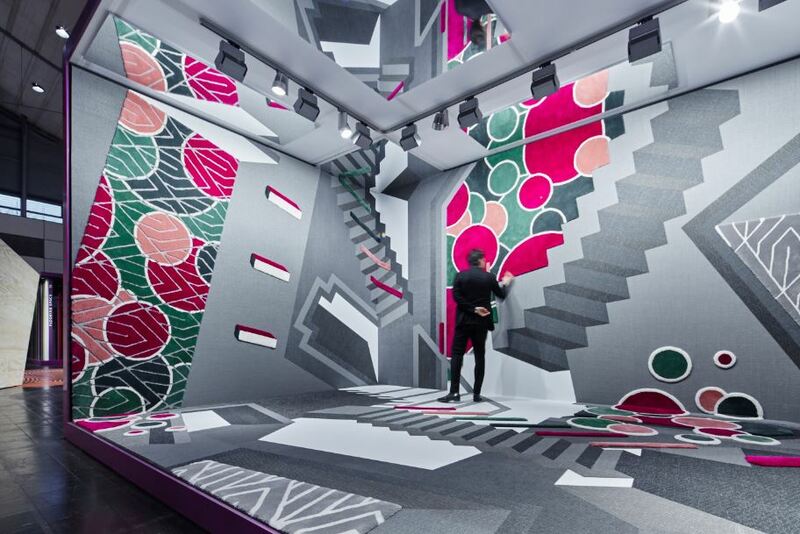 Turkish company Stefany Hali Tekstil created an exquisite carpetscape that drew visitors in on a journey of self-discovery. The installation looked like a couture catwalk and visitors were able to experience first-hand how great design can make them feel like a star. 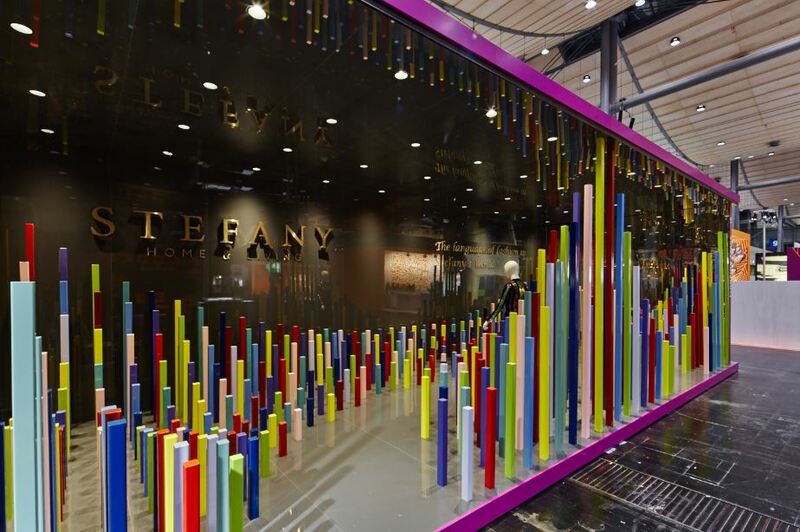 Stefany’s collections introduced a special, new world to its visitors where they had the option to choose from a variety of colours, texture and models. By combining the unique world of its users and the fashion world, the space creates a new fusion. Based on such principles, this work invites the visitors on a journey in a gigantic, boundless and magnified ZOOMED-IN carpet. This journey is the bridge that unites the worlds of the guests with that of Stefany’s. “Surreal Uniqueness” was the title of Sophie Green’s concept, where the fusion of rational and emotional materials creates a free designed universe to emerge beyond the realm of the real. The materials used represent craftsmanship to perfection and interaction, and it offers flexibility and the possibility to super personalise. Sebastian Wrong designed a layered carpet installation entitled “Let the tiles do the talking”. This exhibition positioned carpet weaving at the centre of the modern art world by involving acclaimed contemporary artists in the process of designing, colouring and weaving. The Haas Brothers, Wendell Castle, David Wiseman and many others have followed suit and helped to push the boundaries of weaving art. Nomad showcased a poetic upcycling project at the event. Recycled paper from all over the world was combined with wool to show how each carpet can have its own unique character. A big visitor magnet at the “Living Spaces” zone was a walk-through kaleidoscope exhibition called “Endless Uniqueness”. 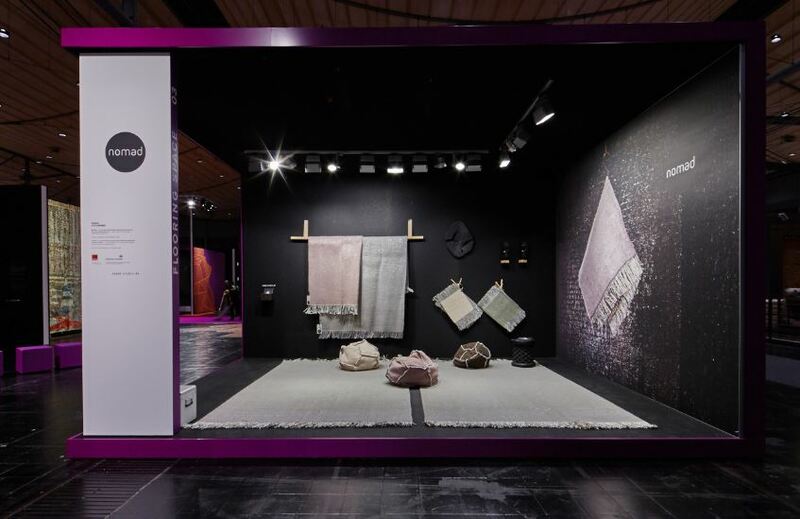 As visitors moved through the exhibition of a multiplicity of mirrors and textile surfaces, they were able to rearrange the materials on display to create their own unique YOUniverse. Budding young designers and students were tasked with reinventing the world of flooring in the third zone, called “NuThinkers”. Some of the new systems and products displayed here included a new type of tactile floor guidance system for the blind and vision-impaired, a new floor heating system inspired by reptilian thermoregulation, and virtual reality software that uses body movement to create individualised spaces in real time. A multi-sensory, immersive exploration was showcased in the “Art & Interaction” zone. This zone focused on the keynote theme from an artistic and creative design perspective. One of the memorable exhibitions was an installation where visitors could open a window to get a glimpse of the infinite in the form of a NASA live feed from space.